New resort in-room TV channels (known as “Your Disney Resort”) are now available in all Walt Disney World Resort hotels. 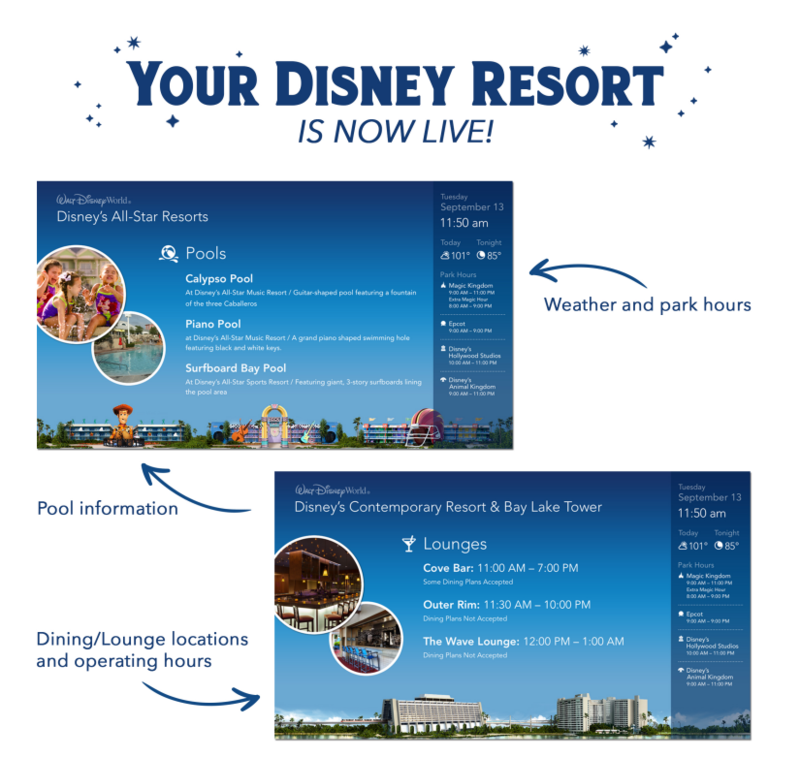 “Your Disney Resort” on channel 3 now displays a variety of helpful information (including pool hours, weather forecast, and more) that aims to better assist hotel Guests in their vacation planning during their stay. Specific to each on-stie resort, the topics that are covered on this channel also include dining locations, merchandise shops, recreation activities, transportation, and more. The music feels about the same as what's on Channel 2. Didn't listen long enough to see if it was the same playlist or not.